The “pot of gold” or useful tip you give your followers should be something they can rely on you to give them on a continual basis. When planning out your social media schedule, come up with a plan that offers the same type of tool that your followers can expect to see on the same day of the week or month. Keeping a consistent schedule will help bring your followers back to your profile waiting in anticipation for that next blog. By offering your followers tools that will either help them, make them more knowledgeable of your company, or just give them interesting or fun information, you are providing them with a way to connect with your company. You are also giving them a reason to want to come back and tell other’s about your company. By being dependable, you are preparing your followers to expect that “pot of gold” you offer. Use this opportunity to reel new customers in. Want to see a sample marketing plan on how you can spend your time wisely on social media daily? Sign up to be one of the first to receive our Social Media Quickies Marketing Guides or contact us to work with you on an individual marketing plan for your business. When connecting to Facebook, some business owners may find it difficult deciphering whether to use a personal profile versus a business page. For the sake of your business, always create a business page and forgo using your personal profile to promote your business. Here are the top reasons why a business page is more beneficial and professional. 1. Your business will be easier to find because your business name will be more recognizable than your personal name. People will be more likely to look for a business when searching for them online than the person behind the business. They want to validate the company that it exists and one way to do that is to look at it’s Facebook page. 2. You can show your brand on your business page. A business page can be branded with your logo and a Timeline Photo that represents your brand. This plays back into making your company more recognizable. Also, people prefer to see a logo than a photo of the CEO on the page. They trust that logo. 3. Don’t mix business with pleasure; be professional! If you’re using your personal profile page as your business page, you will have times when your comments or status posts will be too personal for the image you’re trying to portray. Nobody wants to see the photo your mom tagged you in on “Throwback Thursday” of you in your diapers. They want to hear about your business. 4. It’s easier for people to connect with you by Liking your page. With a business page, all a person has to do is “Like” your page for your status updates to appear on their News Feed. With a personal page, they have to add you as a friend and wait for you to add them back. Not only is it an extra step for you, but it’s one that people might not take because being friends means that you can also see their profile. They want to be able to follow your company without having to share all their information in return. 5. A business page allows for multiple users (employees) to be connected to your business page. If you have a Social Media Manager or have hired a company to run your social media marketing, then you want to be able to give them access to the page without giving them access to your personal page. Plus, you can both stay connected as well as any other employees who may write a post. This gives more visibility to your Facebook page. 6. Gives people the opportunity to “check-in” at your establishment. If someone “checks-in” at your place of business, it provides more eposure of your business name on someone else’s profile. If you want to learn how to setup a Facebook business page or any of the other top 5 social media sites, then sign up to be one of the first to receive the Social Media Quickies Guides for Business at www.socialmediaquickies.com. 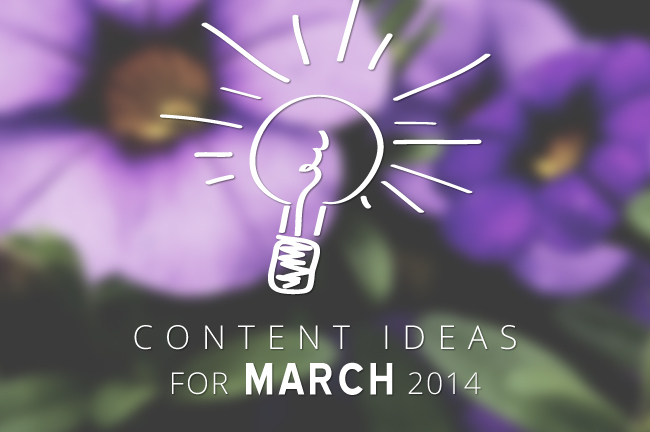 Spring into action this March with fresh content ideas that will keep your readers interested. As the weather starts to warm up, so should what you’re sharing online. We are here to help season your content with ideas that keep you busy writing every day of the month. We offer a list of over 250 content ideas each month including 5 in depth ideas that you can cater to fit your business. If you have any additional ideas you would like to add or any success stories from using any of our content ideas, we would love to hear about them! Leave us a comment below with the details. Use this day to hear from your customers. Let them know that on this day they can ask you a question about your products/services or your company. Not only make it about them answering a question, but let them know that they’ll receive an answer to their question in a timely manner. Leaving the day open to get as many questions as you can that day will definitely bring your business some engagement on your social media. The purpose is that although a person can ask you a question on any normal day, this day will let them feel free to ask their question they might be forgetting to ask. It shows that you care about your customers and want to hear what they have to say. A case study is where you write about a certain product or client. You start off writing about who that client is or introducing the the product. Then you move on to explaining the problem and why the client needed your services in the first place. After setting the story with the problem, you write about the solution you weer able to offer them and the results that received because of that solution. The perfect case study promotes your business by showing your readers how instrumental you were in helping them get their intended results. This idea is also great because it can repeated as often as you would like. Whenever someone sees the words” Did you know?” they are intrigued on what you have to say next. 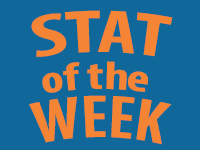 Keep your followers on their toes by giving them a weekly fun fact that they can take away from your post or blog. If possible, tie that fact into an opportunity to sell. An example would be if you were to say a fact regarding the benefits of one of your products that might not be known to everyone. In hearing that benefit, you may catch someone’s attention enough that they will want to purchase your product. You have seen numerous “holidays” every month on these content blogs that range in ideas for every type of business out there. Instead of waiting for a “holiday” that fits your business, why not create your own? Celebrate something that’s important to your business and offer a promotion specific to that day. If it becomes a success, then make it annually and repeat your “holiday” every year. Eventually, your customers will come to look forward to that day and will anticipate the type of promotion you are going to offer them that year. Being all business all the time can be exhausting for your reader. Give them a break by telling them a short and appropriate comedic story that relates to your business. Let them know that your business can also be lighthearted. if you don’t have a funny story to tell, them share a photo that will make them laugh. It can be a joke that’s commonly heard against your products. Just remember whatever you post that it doesn’t portray your company in a negative light. Need help connecting with new customers online? Our Internet Marketing services include SEO, Social Media Marketing, Email Marketing and more! Contact us at 520.664.2324 or click here to get in touch. Holidays and Observance. (March 2014). March Holidays. Retrieved from http://www.holidays-and-observances.com/march-holidays.html. By now, you have probably seen the new “Place Board” feature Pinterest released this past November. You may have thought ”Wow, this is a great idea. How can I use it for my business?” I have created a list of different types of businesses and how this new feature could be used to market them. Leave us a comment, if you have more ideas on how best to leverage the Place Board feature. A hotel has the unique opportunity of receiving many out of town guests who are always looking for restaurants nearby or activities in the area. Make it accessible to them before they arrive. Show them why your hotel is the best selection for them by creating a Place Board of all the favorite local restaurants. Include restaurants within walking distance from your hotel for those who don’t have a mode of transportation. Another Place Board you can create is a list of activities, malls, golf courses, tourist sites, etc… in the area that may interest them. The last non-conventional Place Board that a hotel can use is to provide a list of the local churches or wedding vendors for those who are having their wedding reception or group block at your hotel. The list of churches might also be helpful for some of your other hotel guests. An event planner can create multiple boards for event venues, and one for other vendors in the area, that they may direct them to. They also might want to create a Place Board of popular Honeymoon destinations. An airline can easily create multiple Place Boards of popular vacation destinations that they fly to. It could even be beneficial for them to create one for every state or city with restaurants, hotels, and attractions. A real estate agent can most definitely use a Place Board as a marketing tool. They can put their most popular listings or ones they are in need of selling quickly on a place board for potential buyers to see their options in the area of town where they are looking to buy. If you sell a product in the multiple stores across town, then list those stores on your Place Board with a photo of a different product for each of the locations. This idea is pretty easy, if you own a franchise business then make sure people know where they can find you. Let’s say someone was to go out of town, but has a craving for your specialty dish. I am sure they can see all your locations on your website. It doesn’t hurt to make it more visible by having more ways for them to find you. The truth is we can all create a Place Board on our Pinterest in form or another. If you’re not sure how to best put together your Place Board, then start with something easy. Create a Place Board for the city you live in with the town highlights. If nothing else, it will give your local readers something to relate to and a reason to follow your board. Remember to add your own business to that list. Contact us at 520.664.2324 to learn more about how Internet Marketing can work for your business. When you think about February, you may think about love, hearts, and chocolate. You might also be wondering how that relates to your company. We are here to let you know that there is a lot more to February that can bring you good, high quality content. If you strive for content that is above par, then you can reach a new level of customers that you might not have imagined possible. We offer a list of over 250 content ideas with 5 featured ideas to get you started with your internet marketing plan. February is the shortest of all the months, so spend that time wisely with content that will mean something to your target audience. 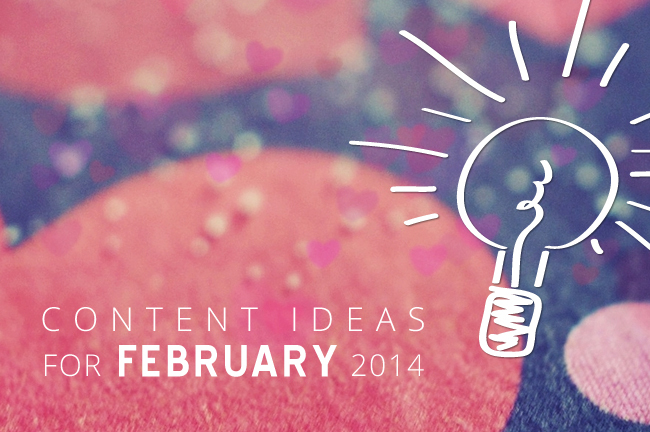 Feel free to leave us comments with your additional ideas of how one of these content ideas works for you! Is there a movie out there that focuses on your industry? More than likely your answer is going to be yes. The more important question is do they accurately depict your field of work or are they completely off base? By nature, people are curious and they want to know the ins and out of how a company works. For this content idea, we suggest you review an industry related movie and compare and contrast real life to what the movie shows. Give them a behind the scenes look of what it’s really like to be forensics anthropologist or whatever it may be that you specialize in. In honor of Valentine’s Day, pick one of your popular products that your customers love and promote it as a marketing campaign. For example, if you were a shoe store you may say “Love your Feet” and then ask for people to post photos of their favorite pair of shoes they bought with you on your social media page. Another example would be a pet store saying “Love your Pet” and requesting photos of people’s pets in their cutest outfit or with their favorite toy. If you owned a jewelry store, you might say “Love your Significant Other” and have your followers share their favorite pair of earrings or necklace that was handpicked for them by the one they love. The possibilities are endless. Come up with a challenge that will inspire your customers to take it. Have the challenge last a week or the entire month. For content purposes, the longer you can make the challenge last the better. For example, let’s say you are a tomato company and you challenge your customers to eat healthier by adding a tomato in at least one meal a day for the month. This challenge can increase your sales because they will need to buy more tomatoes. It will also provide you with content for the whole month. You can be posting an encouragement to keep the challenge going by providing recipes that call for tomatoes, the health benefits of eating them, a type of tomato cut they should try that day, ect… Obviously, we don’t all sell tomatoes so apply this challenge to your company to increase the demand for that month on your product or service. Networking is a great way to bring in new business and to make business connections. Find a way this week to network with other local business online. Create content that is specifically tailored to creating a community that will bring all your businesses together. Explain to them how you help each other out and why they should connect with you. Give them a reason so compelling they will want to join in. Then, if you haven’t already start online communities or groups where you can freely share your business with one another in hopes of bringing together a partnership.